- Looks/feels/smells like Fall edition! 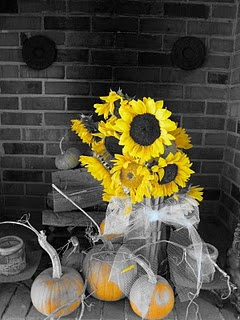 Love the fall sunflowers and pumpkins! I also love how she put this into black and white, and then colorized parts of it- great effect! 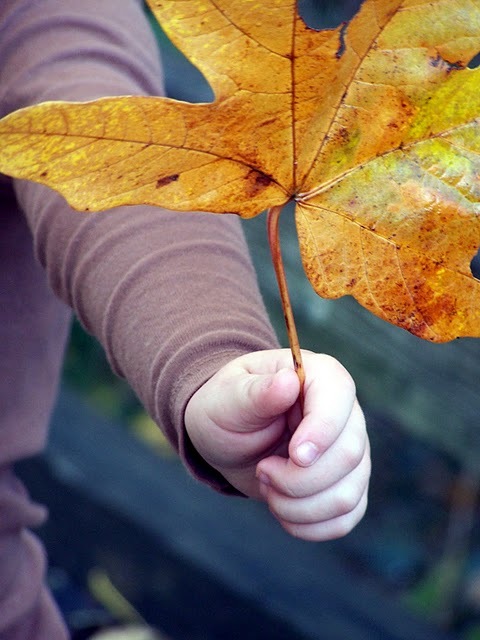 Love the huge leaf, the muted purple and the bright colors of the leaf, and I love how close she cropped into the subject. Wonderful! Next week's challenge is on the sidebar, I hope we see you here next week!